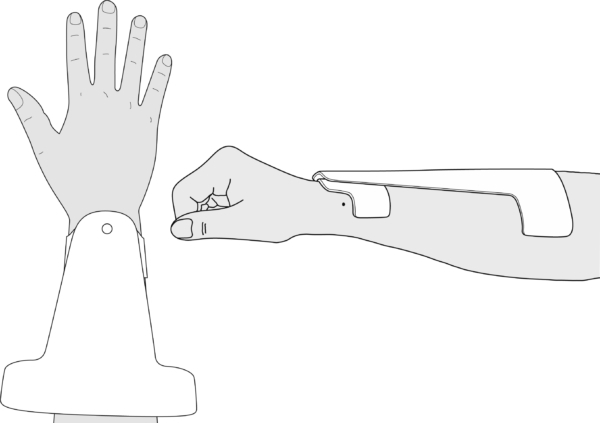 Paralysis of the wrist extensors. Mould the volar piece of the splint. Mould pattern A over the dorsal side of the wrist. Mould pattern B over it, using cold water to avoid both pieces sticking together. Bore a small hole through both sections at the level of the abduction-adduction axis and hinge them with a rivet. 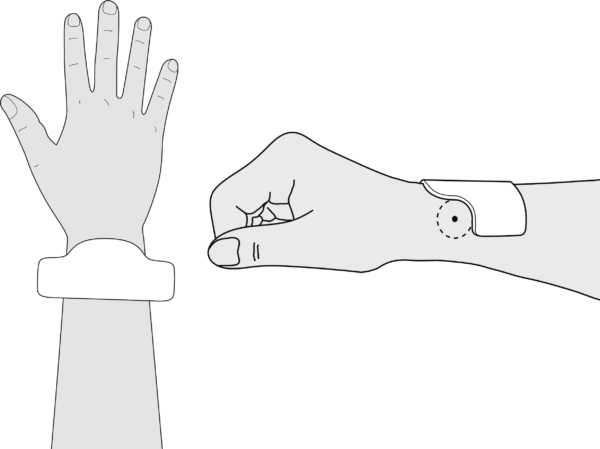 Attach a broad velcro strap proximally on the forearm section (not shown). Remove the splint from the patient. Heat the curved end of the spring and melt it into the splint material. Secure the fixation with a thermoplastic coin dry heated and stuck over it. Fit the second spring in the same way ensuring that both are perfectly aligned. Place the splint back on the patient. 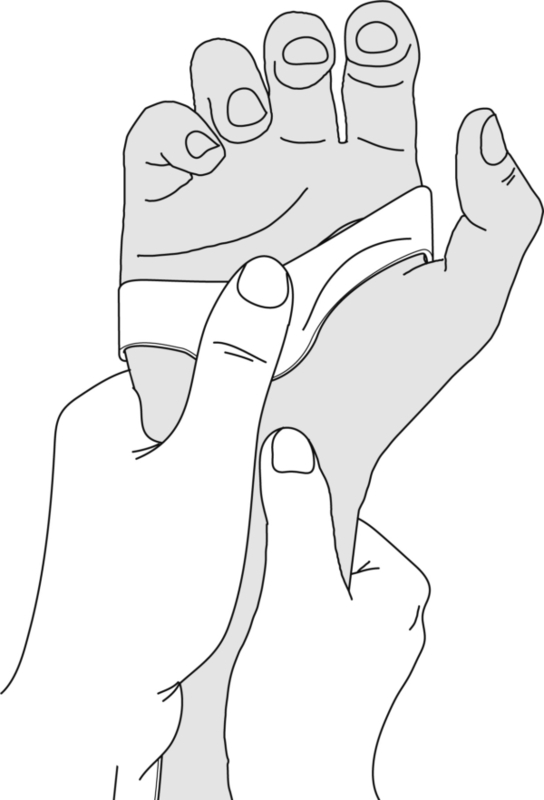 The patient holds the volar piece of the splint in a fist whilst resting the hand on the table. 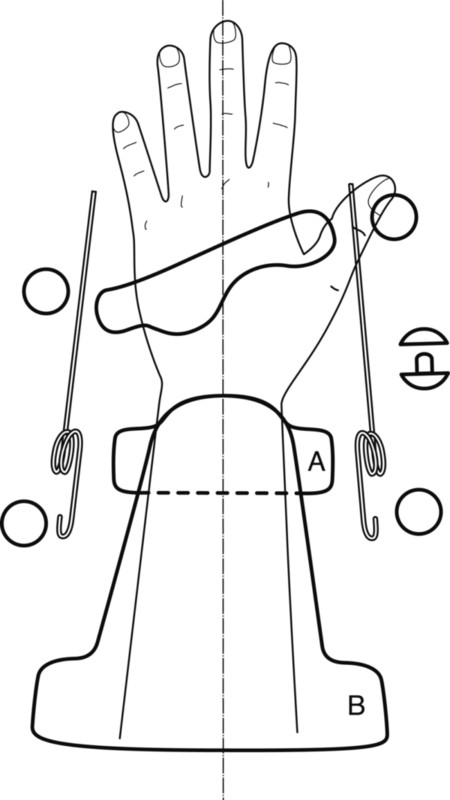 Push the free arm of the spring downwards until parallel to the metacarpal. 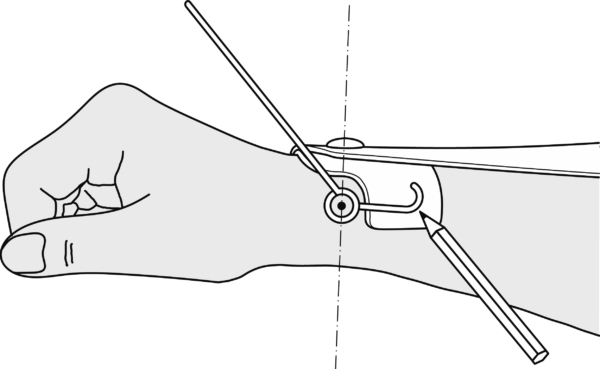 Measure the distance and bend the spring arm 90° downwards and further into a U-shape. Cut off the excess material. Mark the position of the U-shape on the side of the splint. Remove the splint from the patient. Heat the U-shape and melt it into the plastic. Secure with a thermoplastic coin. 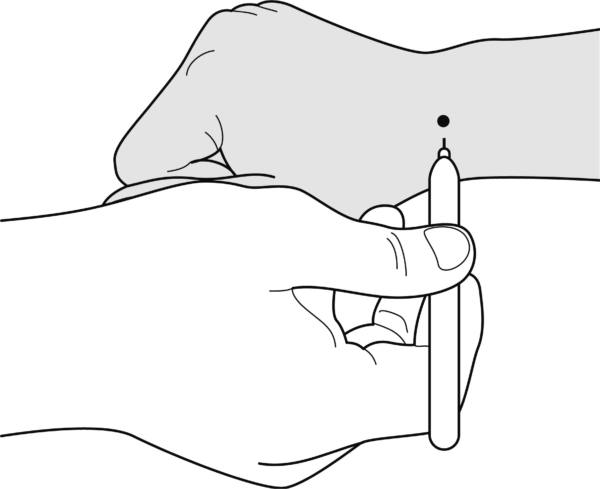 Proceed in exactly the same way on the ulnar side. One strap already provided proximally. Optionally, a narrow strap crossing the wrist and one over the back of the hand for greater comfort.